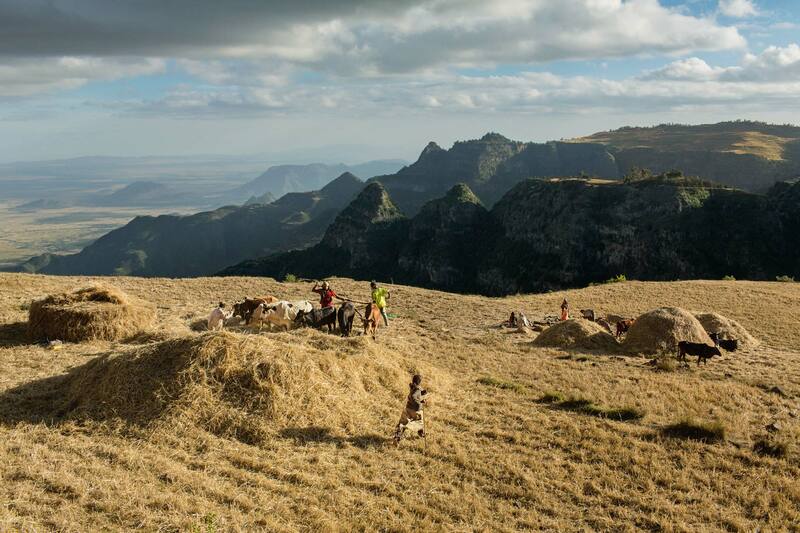 Using hand tools and draft animals, a family harvests wheat in Ethiopia’s famine-prone highlands. Education has helped small farmers become more efficient, but wheat yields are still a third below the world’s average. With more than a third of Ethiopians malnourished, the government is courting industrial farms to help close the gap. She never saw the big tractor coming. First it plowed up her banana trees. Then her corn. Then her beans, sweet potatoes, cassava. Within a few, dusty minutes the one-acre plot near Xai-Xai, Mozambique, which had fed Flora Chirime and her five children for years, was consumed by a Chinese corporation building a 50,000-acre farm, a green-and-brown checkerboard of fields covering a broad stretch of the Limpopo River Delta. “No one even talked to me,” the 45-year-old Chirime says, her voice rising with anger. “Just one day I found the tractor in my field plowing up everything. No one who lost their machamba has been compensated!” Local civil society groups say thousands lost their land and livelihoods to the Wanbao Africa Agricultural Development Company—all with the blessing of the Mozambican government, which has a history of neglecting local farmers’ rights to land in favor of large investments. Those who managed to get jobs on the giant farm are working seven days a week with no overtime pay. A spokesman for Wanbao denied such allegations and stressed that it’s training local farmers to grow rice. Chirime’s situation is hardly unique. She’s just one character in the biggest story in global agriculture: the unlikely quest to turn sub-Saharan Africa, historically one of the hungriest places on the planet, into a major new breadbasket for the world. Since 2007 the near-record prices of corn, soybeans, wheat, and rice have set off a global land rush by corporate investors eager to lease or buy land in countries where acreage is cheap, governments are amenable, and property rights often ignored. Most land deals have occurred in Africa, one of the few regions on the planet that still have millions of acres of fallow land and plentiful water available for irrigation. It also has the largest “yield gap” on Earth: Although corn, wheat, and rice farmers in the U.S., China, and eurozone countries produce about three tons of grain per acre, farmers in sub-Saharan Africa average half a ton—roughly the same yield Roman farmers achieved on their wheat fields in a good year during the rule of Caesar. Despite several attempts, the green revolution’s mix of fertilizers, irrigation, and high-yield seeds—which more than doubled global grain production between 1960 and 2000—never blossomed in Africa, thanks to the poor infrastructure, limited markets, weak governance, and fratricidal civil wars that wracked the postcolonial continent. Many of those hurdles are now falling. Sub-Saharan Africa’s economic growth has hummed along at about 5 percent a year for the past decade, besting that of the U.S. and the European Union. National debts are declining, and peaceful elections are being held with increasing frequency. More than one in three sub-Saharan Africans now own cell phones and use them for mobile banking, to run small businesses, or send money to relatives in rural areas. After 25 years of virtually no investment in African agriculture, the World Bank and donor countries have stepped up. The continent is emerging as a laboratory for testing new approaches to boosting food production. If sub-Saharan African farmers can raise their yields to even two tons of grain per acre using existing technology—a fourfold increase and still a tall order—some experts believe they could not only better feed themselves but actually export food, earning much needed cash and helping to feed the world as well. Small Farmers, Big Questions Large agriculture companies are taking an interest in Africa’s arable land. For now, most of the continent’s food comes from small farmers. These are the faces of some of those men and women. Click here to launch the gallery. It’s an optimistic vision, for sure. Thailand currently exports more agricultural products than all sub-Saharan countries combined, and the specter of climate change threatens to hammer Africa’s yields. 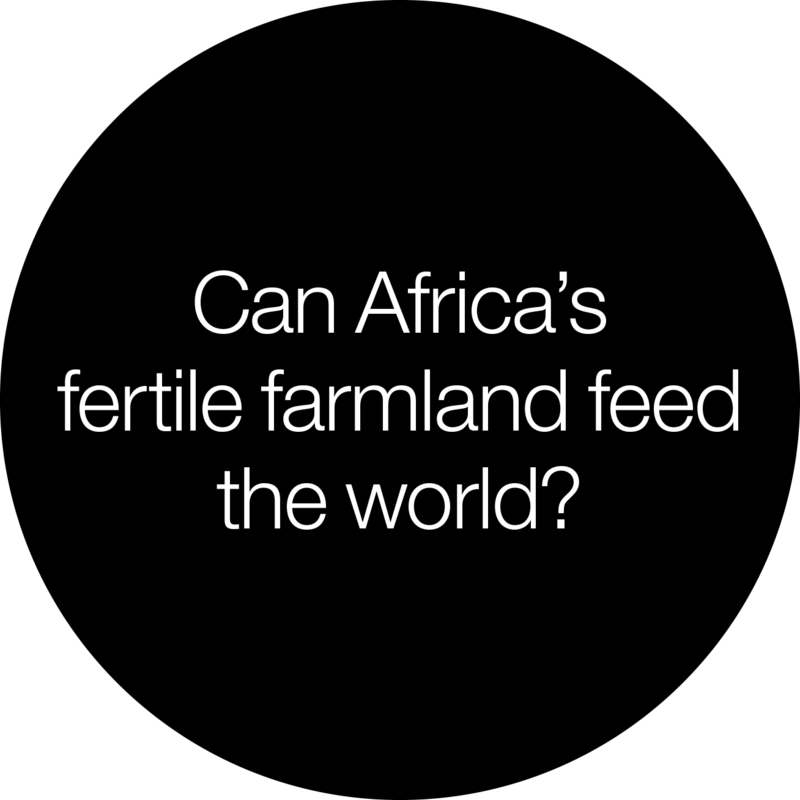 But the thorniest question is, Who will do the farming in Africa’s future? Will it be poor farmers like Chirime working one-acre plots, who make up roughly 70 percent of the continent’s labor force? Or will it be giant corporations like Wanbao, operating industrial farms modeled on those of the American Midwest? 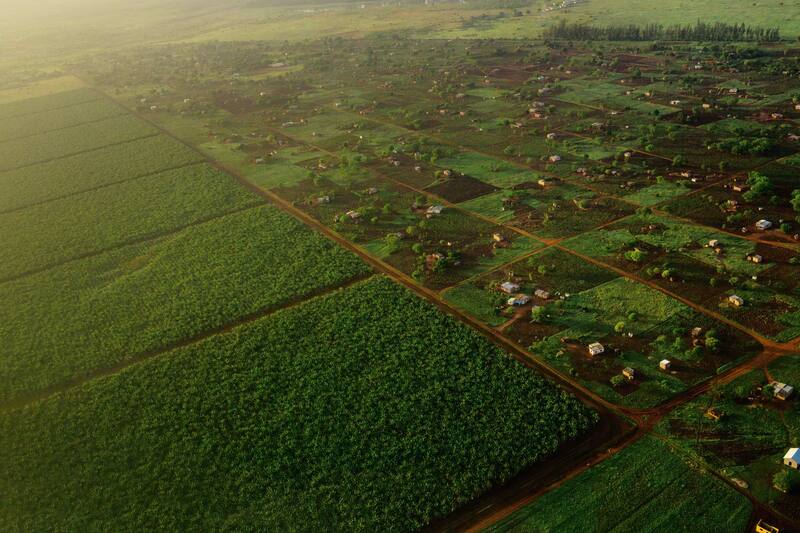 This land outside Maputo provides a snapshot of Africa’s agricultural choices: Will its food be produced on giant, leveled plantations like Bananalandia (at left) or on small farms, called machambas? “It must be a mix of big ag and small,” says Dries Gouws, the sprawling banana farm’s founder. Fertile land, skyrocketing demand for soybeans and rice, and a government willing to cut big land deals have put the former Portuguese colony at the center of the land rush sweeping the continent. In 2013 the nation was the third poorest on the planet, with almost half its children under five stunted by malnutrition. Recent discoveries of world-class coal and natural gas deposits in the north as well as other mining and forestry concessions are slowly changing its fortunes. The rush to tap these hydrocarbons has ignited Mozambique’s economy, which grew by an estimated 7 percent in 2013. Massive infrastructure projects are springing up, many financed largely by loans from nations eager to curry favor with political leaders and get in on the action. Japan is building roads and bridges. Portuguese companies are building ports and rail lines. China has already built a new airport, the parliament building, the national soccer stadium, and even the new presidential palace overlooking the broad bay in the capital, Maputo. In 2013 President Armando Guebuza spent a week visiting the new Chinese president with a ten-billion-dollar wish list of new construction projects in hand. Africa’s Food Challenge The world’s population will likely reach nine billion by 2050, and Africa could help feed it. In some areas arable land may be developed; in other areas it never will be. Click to see why. Little of that bounty has trickled down to the nation’s 24 million citizens, more than half of whom still live on less than $1.25 a day. A return to civil unrest is the only thing that could upset the river of cash flowing into Mozambique. After riots over food prices broke out in Maputo in 2010, President Guebuza fired his agriculture minister and replaced him with Interior Minister José Pacheco, an agronomist, who has continued courting investors at conferences around the world. Of its 89 million acres of arable land, the government deems almost 85 percent “unutilized.” Since 2004 some six million acres have been leased to both foreign and domestic investors for everything from forestry products to biofuels to sugarcane, roughly 7 percent of the country’s arable land—among the highest rates in Africa. Signing a deal with a ministry official in a swank Maputo hotel is the easy part. Getting a massive corporate farm up and running and turning a profit in the midst of often hostile neighbors is something else entirely. Hoyo Hoyo, located in the nation’s prime soybean-growing region of Gurué, was supposed to be a shining example of the new African agriculture. Instead it became the poster child for how such deals can go wrong. In 2009 Mozambican officials leased the nearly 25,000 acres of an abandoned state farm to a Portuguese company with ties to the government. But local villagers had been growing food for their families there for years. When the Portuguese managers came in, they met with village leaders and promised them double the amount of land to farm elsewhere as well as a school, a clinic, and new wells. Few of those promises were kept. The school and clinic were never built, though the company did buy an ambulance to take the sick to a hospital in Gurué, an hour’s ride away. Only about 40 men got low-paying jobs as watchmen on the farm, while hundreds were displaced. Those who did receive acreage have found it to be far from home, swampy, and overgrown. Custódio Alberto is one of them. I meet the 52-year-old farmer at a threshing party just outside the Hoyo Hoyo boundary, where two dozen men from the local Roman Catholic church are beating piles of soybeans with wooden clubs. An equal number of women are winnowing the chaff with handwoven baskets. The seven-acre plot, for the moment still controlled by the church, is next to Hoyo Hoyo’s wide-open fields, which stretch toward the green mountains in the distance. The displaced villagers, who survived 16 years of war, are poor but far from powerless. Soon after the Portuguese got the lease to Hoyo Hoyo, which means “welcome” in the local language, the farm began having trouble with its equipment. John Deere tractors imported from the United States mysteriously failed to start. I ask a farmer working nearby what the problem was. 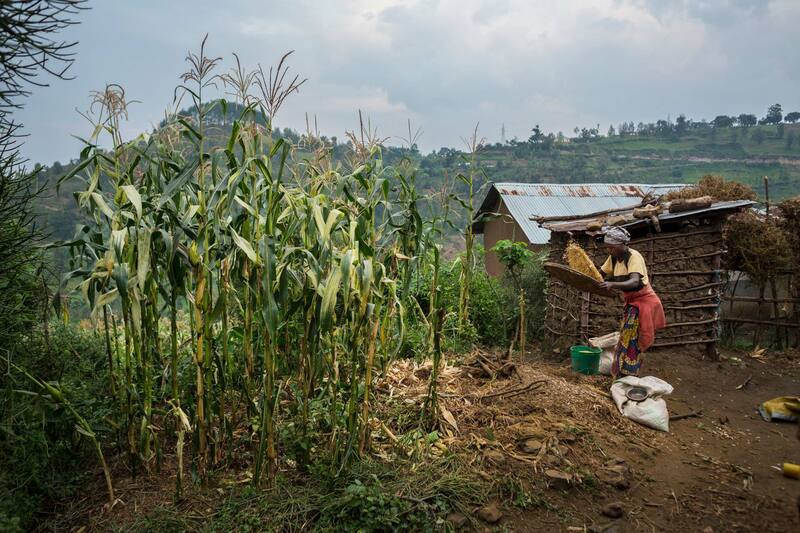 At left, Mary Mukarukaka, 36, peels and ties maize husks with her children on their farm in Rwanda. At right, also in Rwanda, 60-year-old farmer Joseph Nindekwet shells beans from this season’s harvest. The conflict over Hoyo Hoyo pales in comparison with what’s coming down the road. In 2009 the government signed an agreement with Brazil and Japan to develop an agricultural megaproject dubbed ProSavana, which would make almost 35 million acres of northern Mozambique available for industrial-scale soybean production, possibly the largest such land deal ever reported. The plan is inspired by a Japanese-Brazilian project that transformed Brazil’s cerrado grasslands into one of the largest soy-exporting regions in the world, with the bulk of its yield going to feed Europe’s and China’s livestock. The North Carolina–size corridor would be dotted here and there with modern, 25,000-acre farms run by Brazilian agribusinesses and with technical centers to educate local farmers on how to boost yields of cassava, beans, vegetables, as well as soy—or so the initial vision went. But when a group of Brazilian farmers toured the region in 2013, they had a rude awakening. “They saw good lands, but everywhere was a community,” says Anacleto Saint Mart, who works with farmers in the region for the U.S. nonprofit TechnoServe. “They were seeing a reality very different from what they were told in Brazil.” Development experts who’ve pored over maps of the area say most of it is already leased for mining or logging, is protected as wildlife reserves, or is already being cultivated by local farmers. Only about 2.2 million acres are currently unutilized, and those are the worst lands for farming. With the right policies, small farmers can be extremely productive, Kuyek says, pointing to the rice farmers of Vietnam or the small dairy farmers in Kenya, who supply more than 70 percent of the nation’s milk. Simply providing women—who make up the majority of African farmers—the same access to land, credit, and fertilizer as men could boost food production by as much as 30 percent. The government of Mozambique doesn’t see it that way. Though food production by small farmers has improved over the past few years, 37 percent of the population is undernourished, and the country’s southern region is plagued by droughts and floods. Despite its mineral wealth, Mozambique remains one of the hungriest nations in the world. The government thinks bigger farms are the answer. 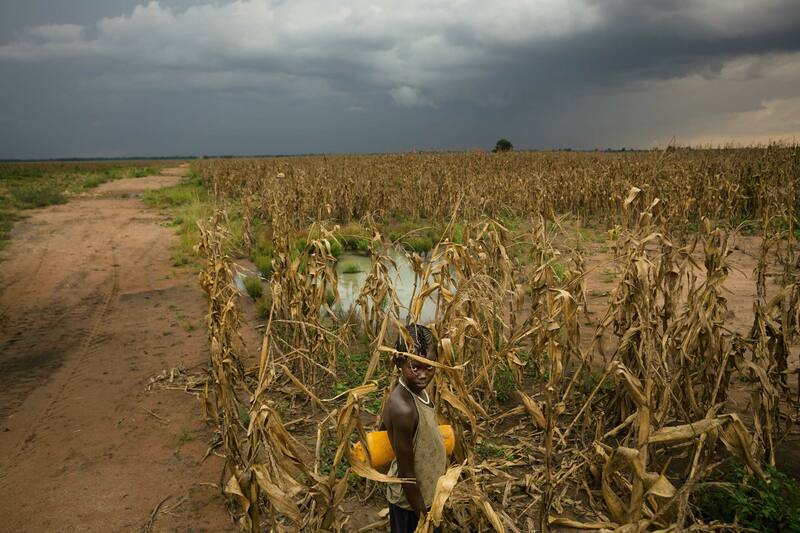 Ajiem Ogalla, 11, scavenges for awieo, an edible shrub, amid corn planted by the Indian firm Karuturi Global, which holds part of a large agricultural lease in Ethiopia’s remote Gambela region. After displacing villagers and cutting down native forests, the company is deeply in debt and struggling to avoid bankruptcy. A few miles down a washboard dirt road from Hoyo Hoyo, a soybean farm run by a retired schoolteacher is an example of a productive middle path. Armando Afonso Catxava began growing vegetables in his spare time on a small plot of land and over the years has cobbled together about 64 acres. He now grows soybeans as an “outgrower” under contract with a new company called African Century Agriculture, which provides him with seeds and mechanical weeding. In return he sells his soybeans to the company at an agreed-on price, minus the cost of the services provided. So far both have profited from the arrangement. “I think middle-size farms are the secret,” Catxava says. “Big farms take too much area, and there is nowhere for people to live. If everybody had five hectares [12 acres] of soy, they would make money and not lose their land.” Outgrower arrangements have been successful with poultry and high-value crops like tobacco and even organic baby corn grown for export to Europe. Now Mozambique’s farmers are starting to raise soybeans for feed to supply the booming chicken industry. Rachel Grobbelaar is a tall, tough Zimbabwean who left a good job in London’s financial district to run African Century, which works with more than 900 outgrowers—a mix of smallholders and medium-size growers—on nearly 2,500 acres. Farmers each get seven visits a season from the company’s extension agents, who teach them the basics of conservation agriculture and the use of inexpensive seed treatments, instead of expensive fertilizer, to boost yields. 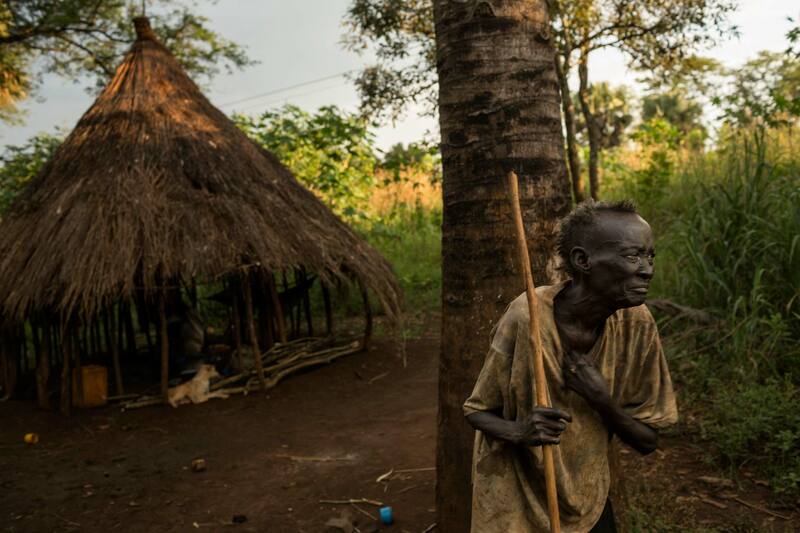 Suffering leprosy and other hardships, Ariet Kwot was forcibly relocated to the community of Thenyi, in the Gambela region of Ethiopia, under a controversial “villagization” program. Officials claim the program provides basic services; critics say it furthers the government’s goal of leasing nearly half of Gambela to corporate farms. When done right, larger-scale farms can benefit locals too. Dries Gouws, a former surgeon in Zambia, planted 30 acres of banana trees on a bankrupt citrus farm outside of Maputo 14 years ago. He slowly grew the operation into what he now calls Bananalandia. At 3,500 acres, it’s the largest banana farm in Mozambique and one of the nation’s largest employers, with 2,800 year-round workers. During that time Gouws’s farm helped turn Mozambique from a banana importer into a banana exporter. As the farm grew, Gouws paved roads, built a school and a clinic, dug wells, and ran 34 miles of electrical lines that not only power his irrigation but also supply the surrounding villages where his employees live. His lowest paid workers make 10 percent more than minimum wage; his tractor drivers and plantation managers make more than double that. Gouws believes in a mix of big and little farms, with small farmers raising cattle and tending plots of land as a safety net and source of pride, and big farms like his bringing in roads, power, and infrastructure that the government does not provide. Big farms supply employment for some; other people make it on their own. The key to corporate farms winning over local communities, he says, is simple: Keep your word. Fifty-year-old rubber trees fall to make room for oil palms on a former B. F. Goodrich rubber plantation, which was twice abandoned during Liberia’s civil wars. 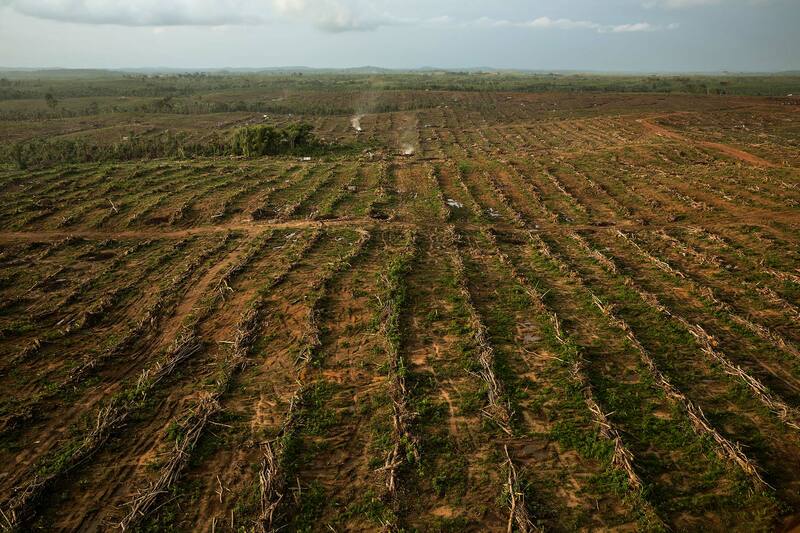 To help build their nation’s economy, Liberian officials asked the Malaysian company Sime Darby to replant a portion of a nearly 544,000-acre lease with palm and rubber trees, as well as another 109,000 acres that will be managed by small farmers. Yet make no mistake, money—not some noble idea of feeding the world—is driving the land rush in Africa. A recent conference for agricultural investors in New York drew some 800 financial leaders from around the globe who manage nearly three trillion dollars in investments. These included giant pension funds, life insurance companies, hedge funds, private equity funds, and sovereign-wealth funds, which currently have about 5 percent of their combined assets allocated to investments in agriculture. That number is expected to triple over the next decade. Such a massive infusion of private cash, technology, and infrastructure is exactly what global agriculture needs, according to FAO experts, who estimate we’ll need to invest $83 billion a year in agriculture in developing countries to feed two billion more people by 2050. 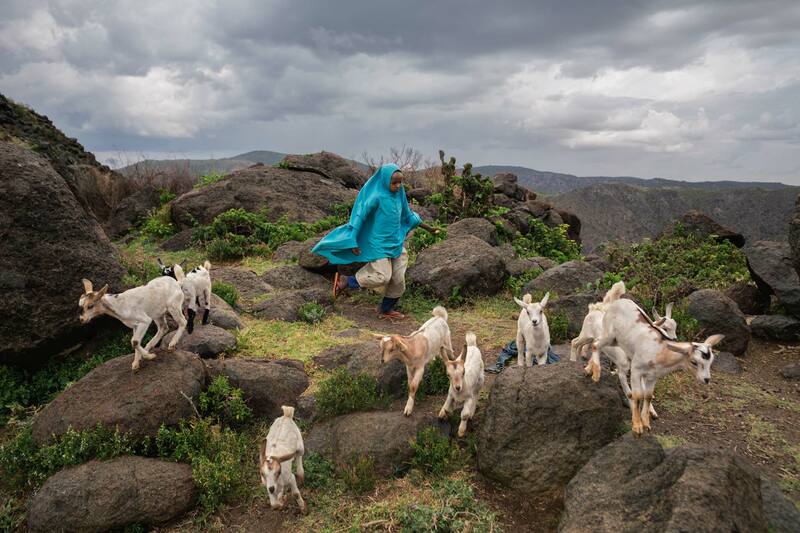 A girl tends goats in the mountains near Shiikh, Somaliland. Though big farms make headlines, small farmers still produce most of the food in Africa. Both are crucial for the continent to be able to feed its own growing population—much less the rest of the world. 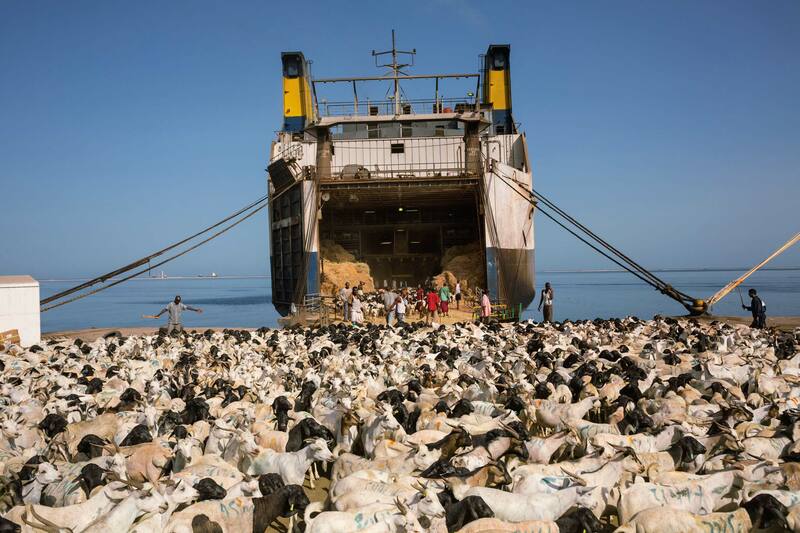 Berbera (left), where these sheep and goats are being led to the ship bound for Saudi Arabia, has been a key port for Arab traders since the second century. Saudi Arabia imports 80 percent of its food, with meat consumption projected to rise this decade—good news for Somaliland’s nomadic herders. 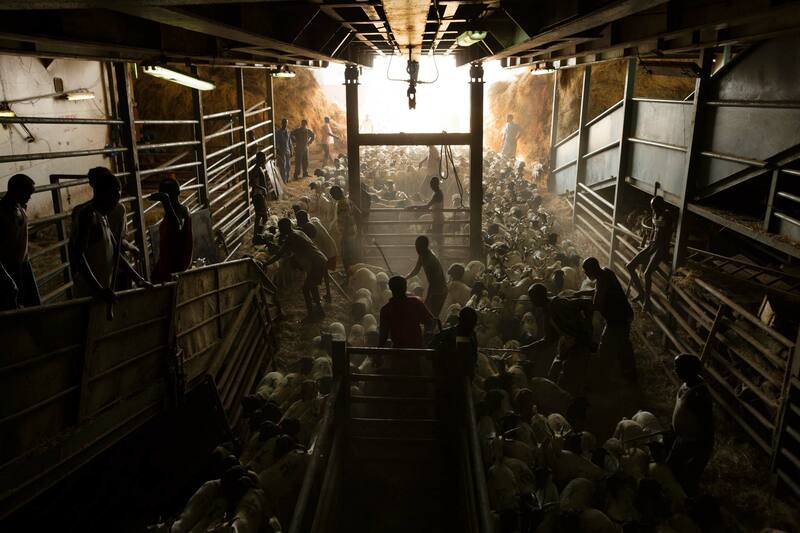 Workers herd livestock aboard a ship (right) in Berbera, Somaliland, that is headed to Jeddah, Saudi Arabia. In the three years after Saudi Arabia ended its ban on Somali livestock, imports grew fivefold, to three million animals in 2012. Berbera, where these sheep and goats are being led to the ship bound for Saudi Arabia, has been a key port for Arab traders since the second century. Saudi Arabia imports 80 percent of its food, with meat consumption projected to rise this decade—good news for Somaliland’s nomadic herders. Workers herd livestock aboard a ship in Berbera, Somaliland, that is headed to Jeddah, Saudi Arabia. In the three years after Saudi Arabia ended its ban on Somali livestock, imports grew fivefold, to three million animals in 2012. Two other men walk up during the conversation, and I ask if they would give up their small farms for a job on a big farm. Given their ragged clothing, their swollen bellies, their sod houses, their obvious poverty, the question seems almost unfair. Yes, they say, without the slightest hesitation. Whether Mozambique’s future farmers will look more like industrial farmers in Iowa or the small but productive rice farmers of Vietnam remains to be seen. But all sides agree on one thing: The status quo is unacceptable. Contributing writer Joel Bourne reported on the global food crisis in 2009. Robin Hammond covered Zimbabwe in our May 2013 issue. The magazine thanks The Rockefeller Foundation and members of the National Geographic Society for their generous support of this series of articles. Esther Nyirahabimana winnows soybeans on a small farm in Rwanda, having been given seeds, fertilizer, and training by the nonprofit One Acre Fund. Small farmers can produce as much per acre as large farms if seeds and fertilizer are affordable. Simply giving women the same access to loans, land, seeds, and fertilizers as men could increase food production by as much as 30 percent.